This wooden Honeybake Oven and Hob Set will have your little ones preparing the most delicious meals in no time. 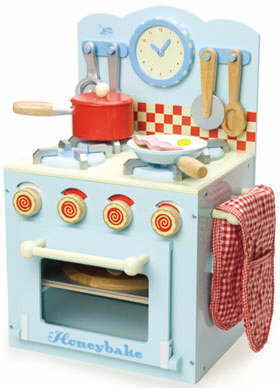 An ideal role play kitchen play set for young children. This wooden oven and hob set encourages group activity play. - 6 slice pizza with toppings & baking tray. Features a clock to time the cooking ! !